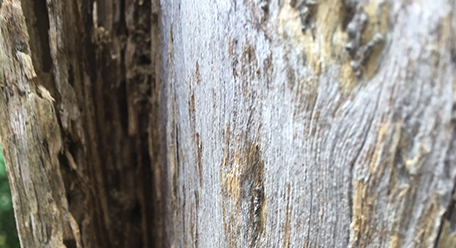 A timber pest inspection provides you with a full written report regarding how susceptible your property is in experiencing a termite and timber pest infestation. It can identify live, past and potential future activity of termites or timber pests and the severity of property damage they have caused. Furthermore, with Bayside House Inspections, all our Timber Pest Inspections are conducted in full compliance with the Australian Standard (AS 4349. 3). Why do you need a Timber Pest Inspection? Timber pests and termites are silent attackers and cause significant damage to properties all across Melbourne and Victoria. A timber pest inspection is a vital part of any building inspection service. 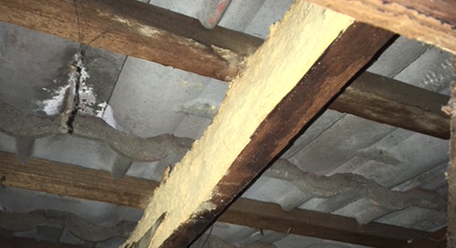 We physically test all timbers in the building for termites, borers, wood rots and fungal decays, as well as the detection of live termite activity, water leaks and dampness. Most home insurance policies will not cover you for damage caused by termites. Termites will attack approximately 1 in 3 Australian homes at some stage during the home’s lifetime. Brick veneer buildings are not immune. Consequently, they can be attacked by termites via the timber frame in the cavity behind the wall or ceiling linings. The timber frame of a brick veneer building is what carries the load of the building, causing the structural integrity of the building to be compromised if attacked by timber pests. Finally, termites can attack a home that has a concrete slab just as easily as a building on stumps or piers. A timber pest inspection is recommended if you have noticed sagging floors, hollow sounding wood or piles of termite droppings known as frass. Termites and timber pest activity can be influenced by an array of factors including moisture, wooden structures that are in contact with a building, and any openings or gaps into a property. You will benefit from John’s expert knowledge as a registered builder and qualified carpenter as he knows that termites can be difficult to locate. As a result, he pays particular attention to areas that others won’t, such as the sub floor, borers and outside timbers. Enquire today for more information on a timber pest inspection or combined building and pest inspection. I have no hesitation recommending John Carter for your building inspection. We found him friendly, reliable, thorough and very helpful. He really took the time to talk through his report with us and answer any questions we had. He gave us great confidence to purchase our new home. I engaged John of Bayside House Inspections to do an inspection of a prospective house purchase in Narre Warren. I found John to be extremely competent, thorough and friendly as he went about his duties inspecting the house. On completion we were supplied a comprehensive list, complete with photographs and explanations of the items that needed attention. Impressed, as I was, with the level of his service. Our recent experience with John was great! Our pre-purchase report came through very promptly and was incredibly detailed. It gave us all the information we needed to make the right decision with our purchase. John was available to explain everything to us and clearly has a huge amount of experience and knowledge in the building trade. Thank you for the fantastic service provided! Your prompt manner with responding to my initial enquiry and arranging the building and pest inspection for the property purchase was exceptional. You also went above and beyond the requirements to produce a structural report by going into further detail regarding the workmanship and materials used on renovations. It’s evident you have extensive experience in the trade. Your caring approach to ensuring we understood everything in the report and discussing the items in detail over the phone was much appreciated. As a result, we managed to negotiate the purchase price to include a list of maintenance items for settlement. We will definitely be using your services in the future and will recommend you to others! Bayside House Inspections © 2019. All Rights Reserved.